I've got two words for ya...QUIZ IT! D-Generation X reformed on Monday Night RAW this week ahead of a showdown against the Brothers of Destruction at WWE's Crown Jewel pay-per-view, set to take place on 2nd November in Saudi Arabia. One of the most influential groups of the Attitude Era, DX were voted the greatest WWE Tag Team Champions in a 2013 viewer poll. Starting out with Michaels, Helmsley, Chyna, and Rick Rude, they recruited new members like X-Pac and the New Age Outlaws following Michaels hiatus from wrestling and grew into the stable they are so renowned for today. They have had numerous reunions over the years due their sheer popularity with fans and iconic moments & catchphrases. 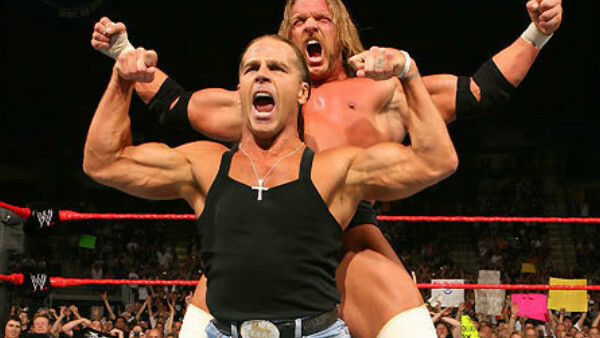 Nevertheless, just how well do you remember D-Generation X and their antics? Can you recall who they beat to become tag team champions? What they wrote in the sky when attempting to invade WCW? Who the first team they feuded with was? 1. Who Was The First Group DX Feuded With?